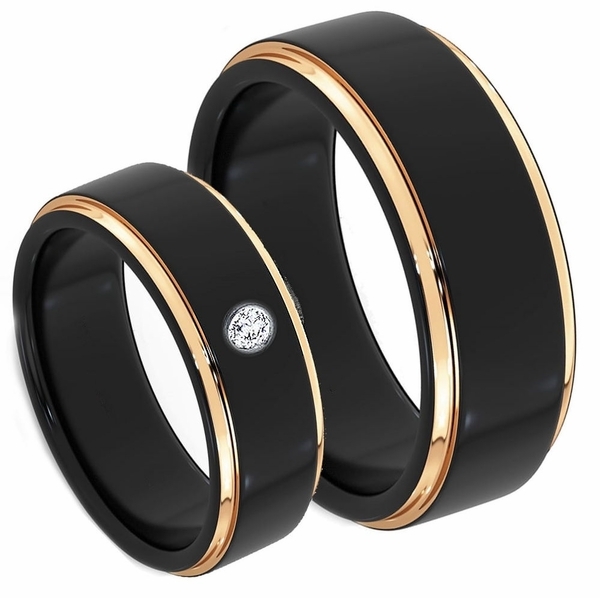 Personalized Black With Gold Accent Stainless Steel Ring. 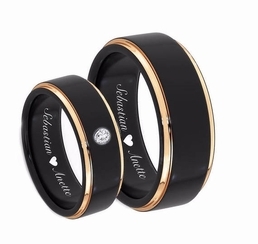 These engraved rings are the perfect sentiment of love. Personalized rings are a special everlasting gift with names, dates or a custom message on the inside of the ring. Stainless steel rings are very attractive and extremely durable. It keeps its luster much longer than other metals. Feel free to wear it on a daily basis. The lightweight design makes it a sporty style that is easy to wear. This stainless steel ring makes a great everyday accessory!